If you’re tired of reaching for trail mix every time you need a snack, this is the recipe for you. 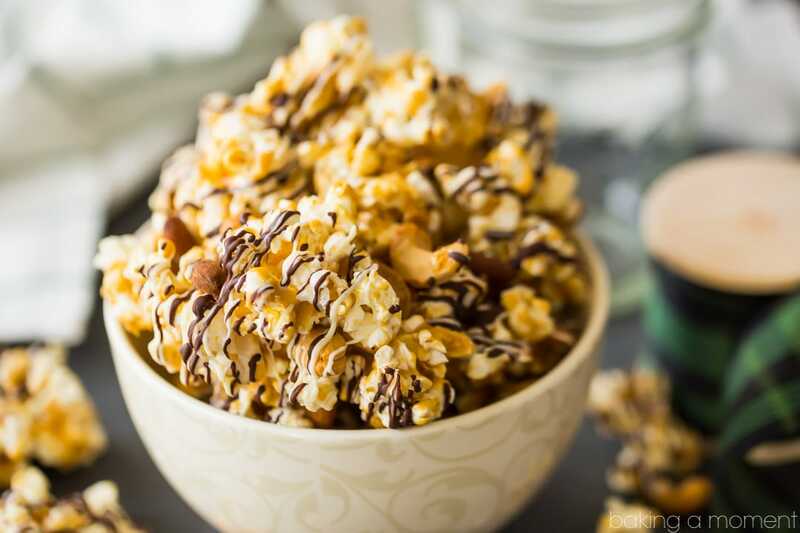 Moose Munch is made using popcorn, nuts, chocolate and more, so this will feel more like a midday treat rather than that necessary bit of food to hold you over until your next meal. The recipe for Moose Munch from Baking A Moment can be made in about an hour, but it makes a such a big batch that you’ll only need to whip it up once a week to produce enough little snack bags for the whole family. To start, you’ll need to pop some fresh popcorn. Then, create your own caramel by melting butter, brown sugar and corn syrup on the stovetop. Combine the caramel with the popcorn and nuts — these can be cashews, almonds or whatever nuts you prefer — stirring until covered. Next, spread the mixture on a baking sheet and bake for an hour. 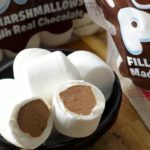 Once cooled, drizzle melted chocolate over the popcorn, and after the chocolate has hardened, you’ll break up the popcorn and store it until it’s time to eat. These sweet-salty treats can be wrapped in individual baggies and put in your kids’ lunch boxes throughout the week, placed in the car for when you’re hungry on-the-go or set out on the kitchen table for anyone to enjoy. 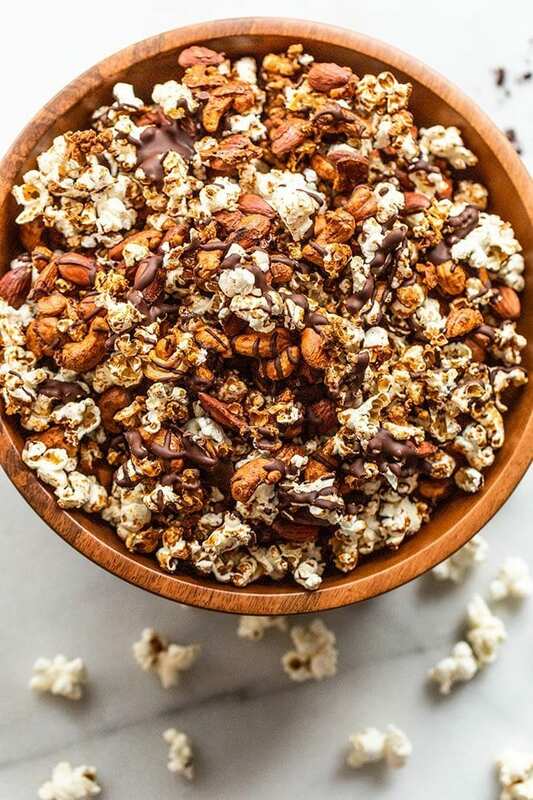 For a healthier take on this snack, you can try this version from Miss Allie’s Kitchen, which calls for coconut sugar and dairy-free coconut caramel along with almonds, cashews and organic popcorn. 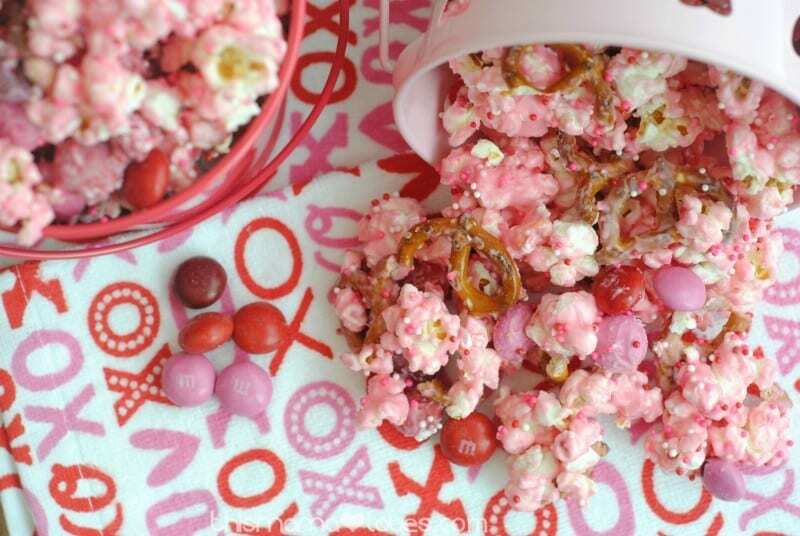 Or turn up the sweetness and put a Valentine’s Day spin on this snack. Instead of using dark, milk or white chocolate, you can use colorful candy melts to put a romantic touch on this crunchy treat. This recipe for Cupid’s Crunch from This Mama Loves, which also calls for pretzels and M&Ms to be added into the popcorn mixture, will help you create the ultimate sweet and salty mash-up to share with those you love (or save all for yourself) come Feb. 14! No matter which version you choose, there’s no going wrong with a combination of popcorn, nuts and chocolate. So, pull out those baking sheets and get your munch-on!